Following the Douro River through Portugal and into Spain, you’ll cruise past steeply terraced hillsides, quaint villages and acres of ripe vineyards. Sample traditional fare in majestic Coimbra, the birthplace of six Portuguese kings; enjoy private tastings of Port; and explore Porto’s historic Ribeira district, home to iconic rabelo boats, cutting-edge cuisine and a thriving art scene. Wind your way through the dramatic landscapes of the UNESCO-designated Douro Valley, heading ashore to visit charming quintas and meet the winemakers who operate them. In Salamanca, Spain, you’ll see the city’s famous university. Return to Portugal with a visit to the fortified village of Castelo Rodrigo and historic Guimarães. There’s no better way to discover Europe’s best-kept secret than this scenic and all-inclusive river cruise! The Douro River is one of Europe’s most exciting waterways, yet it is often overlooked by those considering river cruising in Europe. Flowing in the shadow of its more famous counterparts, the Danube, Main and Rhine, Portugal’s Douro River is a hidden gem filled with stunning scenery, warm and friendly people, and charming towns bordered by vineyards, and of course, barrels of fine Portuguese wine. 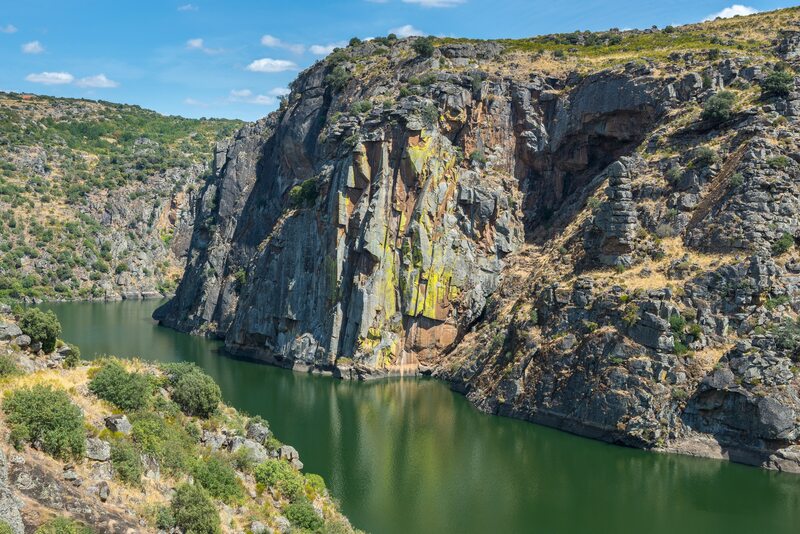 The third longest river on the Iberian Peninsula, the Douro wells up in Spain’s Sierra de Urbión, crosses the country’s Numantian Plateau, and heads westward across northern Portugal before releasing into the great Atlantic Ocean. Functioning as a conduit between the ocean and the inner reaches of Portugal, the Douro was a transportation system that enabled the region’s famous port wine production to flourish. 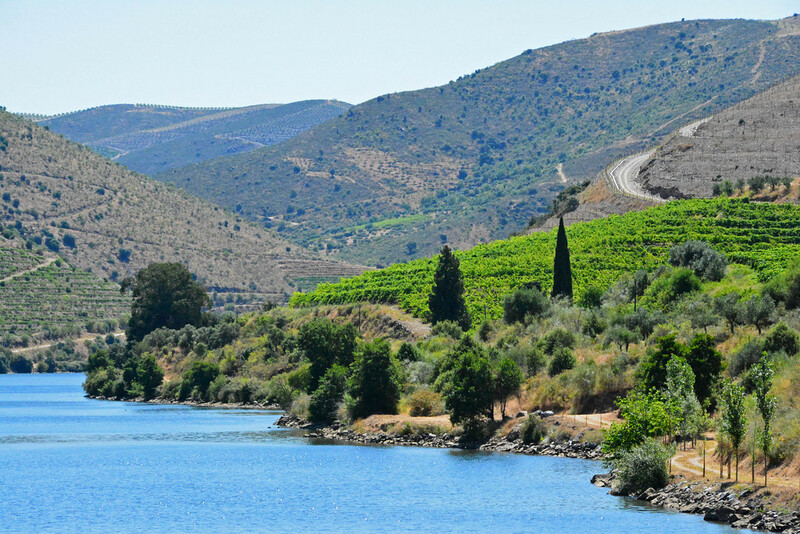 In fact, Alto Douro, or the Upper Douro, is the world’s oldest demarcated wine region. 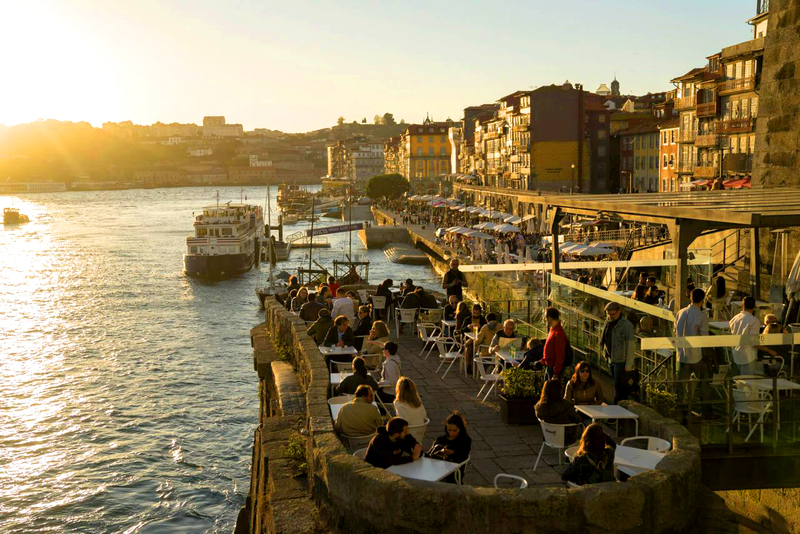 Aptly deriving its name from the city of Porto, Port wine is produced exclusively in the Douro River Valley — named a UNESCO World Heritage Site in 2001. Flat-bottom boats called rabelos used to deliver casks to the cellars directly across the river from Porto to a town called Gaia. The pastoral countrysides, rural villages, and pocket-sized towns lining the Douro provide a unique river cruise panorama. Steeply terraced, verdant vineyards surrounding Porto give way to rock faces carved by nature and etched by ancient men; traces of some our ancestors’ earliest illustrations are harbored within this region. As you wend your way closer to Spain, the arid landscape points to its constant companion, the sun, which also makes the Douro glimmer in the 18-karat hue so fitting of its moniker. While its distinctive beauty and rich history make the Douro a destination unto itself, it’s the Portuguese people that will make you want to return again and again. They are among Europe’s friendliest.